It’s South Africa 1990. 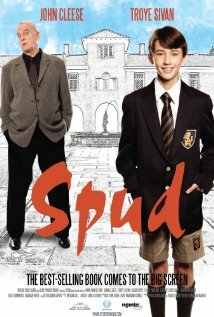 Two major events are about to happen: The release of Nelson Mandela and, more importantly, it’s Spud Milton’s first year at an elite boys only private boarding school. Spud has his hands full trying to adapt to his new home. Along the way Spud takes his first tentative steps along the path to manhood. (The path it seems could be a rather long road). He is cursed with parents from well beyond the lunatic fringe and a senile granny. Armed with only his wits and his diary, Spud takes us from illegal night swimming to the red-hot furnace of the cricket pitch, from ghostbusting to a catastrophic family vacation.